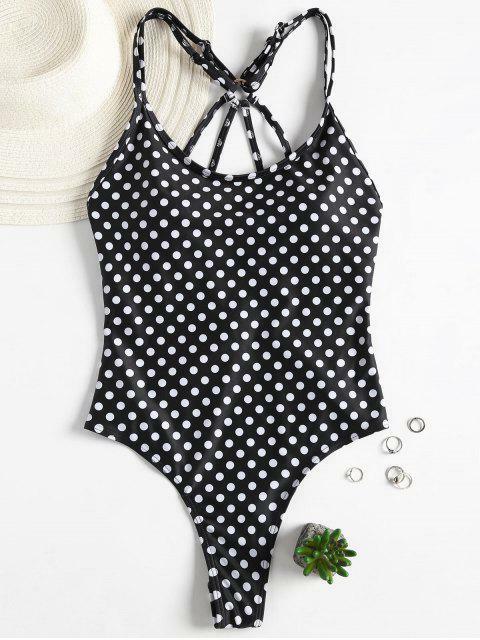 [12% OFF] 2019 Vintage Strappy Polka Dot Swimsuit In BLACK | ZAFUL .. This vintage-inspired polka dot swimsuit with a simple silhouette that hugging the curves of your body brilliantly. A metallic ring at the back connects the ultra-thin elasticated multi-straps for a head-turning look.